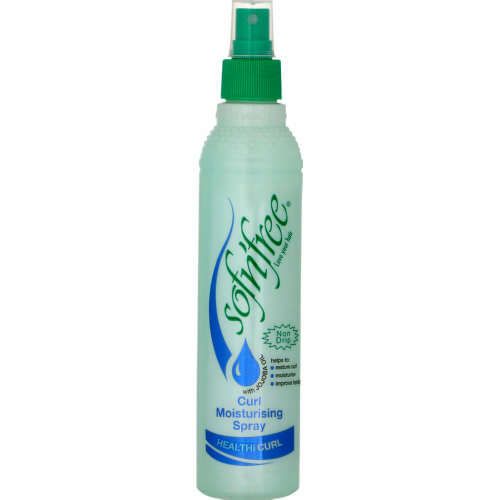 Sofn'Free curl moisturising spray with jojoba oil is designed to help restore proper moisture balance to the hair improving texture without weighing it down. Also for natural hair and blow outs. Formulated By registered pharmacists. Free from PETROLATUM, MINERAL OIL AND PARABENS. DIRECTIONS: hold 15cm from head. Spray evenly on hair, massage into hair and style.